~Eternal Snow~: Back from Japan!! Teaser Post. And once again, another holiday has just whizzed by me, and I'm back in my home and at my computer typing out this post. Yes, I'm finally back from Tokyo *inserts crying sound here*. Right now, I'm busy trying to catch up on the loss in information during my absence, and trying to get some school matters stuff done too, so an actual proper post will have to come tomorrow. 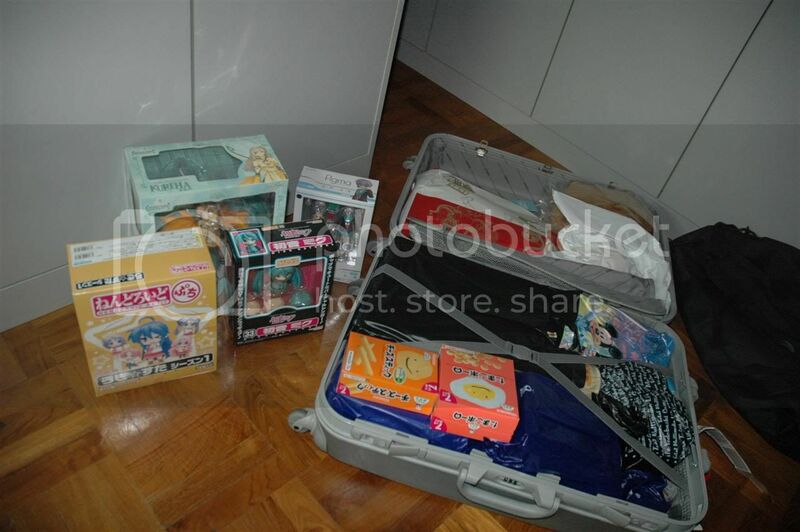 But in the mean while, here's just a teaser photo of my luggages; and break down of loots are to come. I'm out! 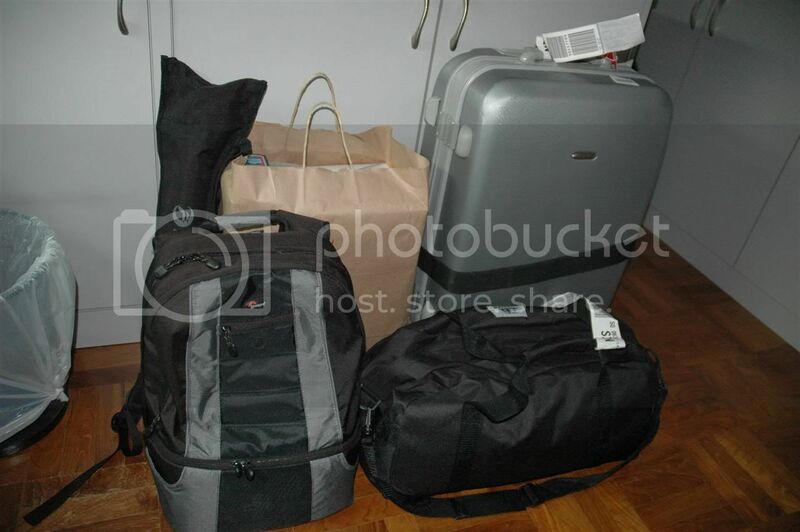 2 bags go, 4 bags back! I got there, but only the Nendoroid petit is mine though.